Spring showers are here in Santa Claus, IN. 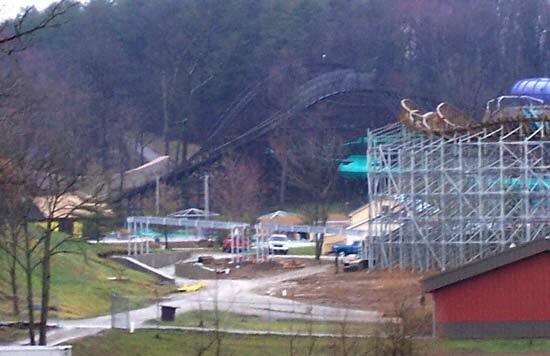 Today has been nothing but rain, rain, rain with a little thunder and lightening but despite all of that work on Holiday World's 2006 additions goes on. The Voyage's photo/gift shop now has siding and I noticed several people working on getting The Voyage's station ready to go. This week structure for the bridge for the walkway down into the Thanksgiving section started to go up. 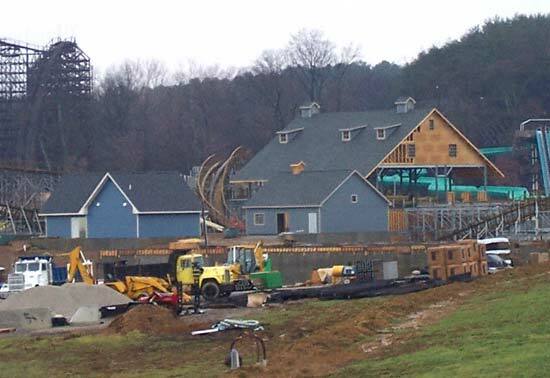 There's still work going on with Gobbler Getaway with a lot of time spent this week finishing off the first floor. My thought is that it is going to be a metal building that they can put together in a matter of days like an oversized Erector set. 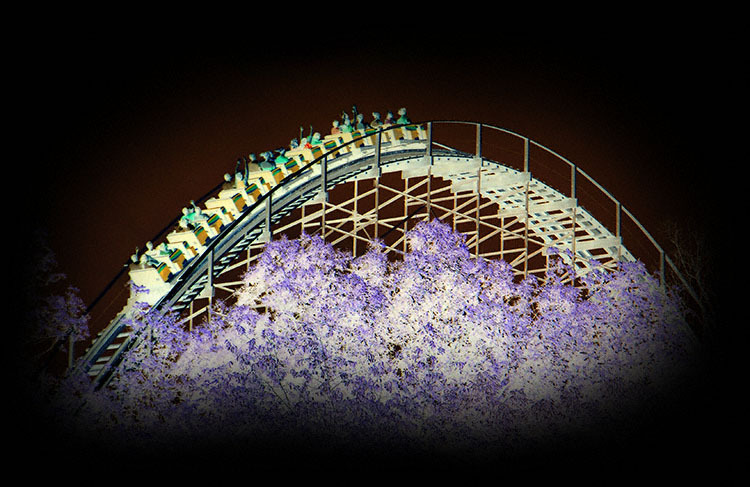 To me one of the signs that spring is finally here and the coaster season is quickly approaching is when The Raven and Legend trains make their appearance after a long off season rehab. 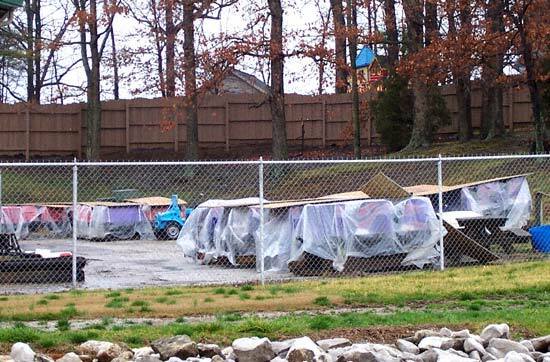 I can't wait to take The Raven and Legend for a ride but I really can't wait to see and feel The Voyage in action. Well we've got just 55 days to go. 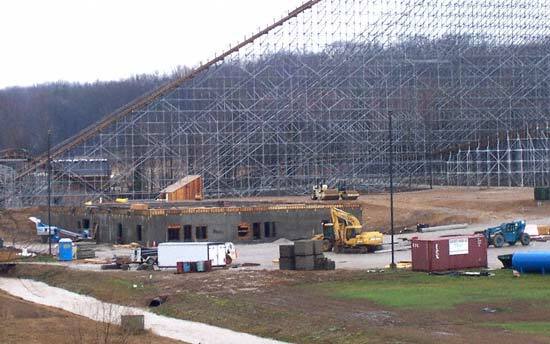 Check back next week for a monster Holiday World 2006 construction update as I'll have up close photos of The Voyage from the American Coaster Enthusiasts 2006 Off Season Construction Tour.